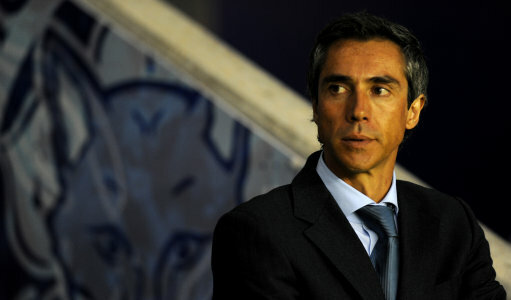 Leicester City have confirmed that they have ‘parted company’ with manager Paulo Sousa after less than three months in charge. “The decision has been taken as a result of the club’s poor run of results this season. The club would like to state that Sousa is a first-class individual, but that this decision has been taken in the best interests of the club and our ambitions are to move up the Championship. The Foxes have also confirmed that coach Chris Powell and goalkeeping coach Mike Stowell will take temporary charge for Saturday’s home match with Scunthorpe, but there are growing rumours that former England manager Sven-Goran Eriksson has already accepted an offer to become Sousa’s successor. Eriksson has only recently signed up to join Saudi Arabian side Al-Hilal on a one-year, £1.2 million contract but reports suggest that he has now also agreed a two-year contract ‘in principle’ with Leicester owner Milan Mandaric, who will enter discussions to try and break off the Swede’s ties with the Riyadh-based club. UPDATE: The Guardian are reporting that Leicester have also opened talks with former manager Martin O’Neill, who left Aston Villa at the start of the current season. WTF? It’s not anywhere near the first of April. Disgusting. Only 9 games in. Give Sousa some time for the love of god. He is a talented manager. A system needs to be introduced whereby if you sack the manager before Jan you get docked a couple of points.